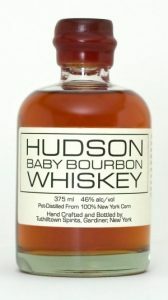 When Ralph Erenzo wants to shake up a batch of his Hudson Baby Bourbon, he wheels in the sub-woofer and cranks up the dubstep right next to the barrels. Naturally, Erenzo’s rural neighbours aren’t pleased about the constant doof-doof thumping out of the rickhouse, but they have nobody but themselves to blame. He purchased the Tuthilltown gristmill in 2001, with plans to turn it into a ranch for rock climbers. Stiff opposition from the neighbours and a couple of years of legal wrangling resulted in he and his business partner, Brian Hill, turning it into a whiskey distillery instead; the first in New York State since Prohibition. 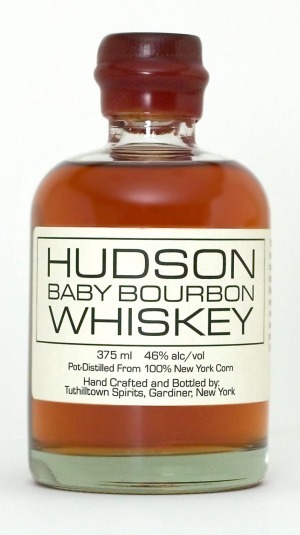 Tuthilltown Spirits’ first product – Hudson Baby Bourbon – hit the shelves in 2006. State laws meant that Erenzo and Hill weren’t allowed to offer tastings or sell their product directly to consumers. They lobbied hard and had the law (The Farm Distillery Act) repealed in 2007. It wasn’t long before folks started making a pilgrimage to the distillery to see where the magic happens.